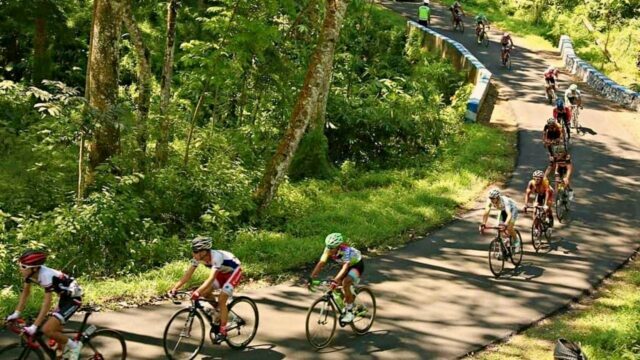 For cycling enthusiast, consider visiting Banyuwangi in September. The easternmost city of Java has a cycling event called International Tour de Banyuwangi Ijen (ITdBI). Tour de Banyuwangi Ijen is an official competition of Union Cycliste International. UCI is the same organization behind the popular Tour de France. On this 9th year of its existence. International Tour de Banyuwangi Ijen has reached the excellent 2,2 level. It's the highest category of cycling competition according to UCI. Among 31 championships, only six other races are on this A-list. Some of them are Tour de Langkawi in Malaysia, Tour de Korea, Tour of Japan, Japan Cup, Tour de Iran, and Tour de Kumano. 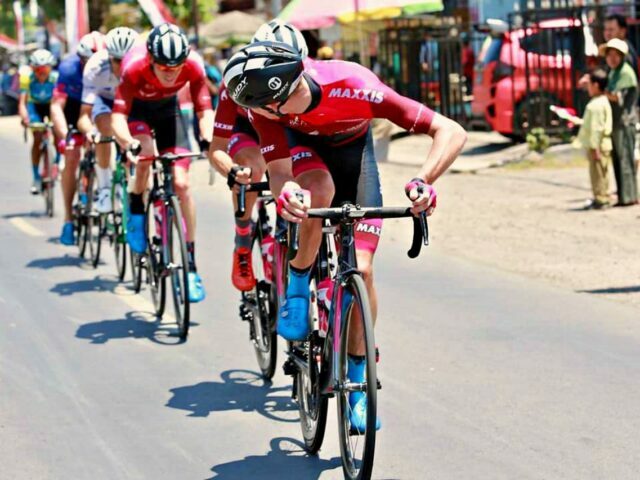 In 2018, riders from 25 countries participated in the Tour de Banyuwangi Ijen event. Racers biked through up 599 km of tracks in total. There are four stages with each taking place on a different route. On each route, riders enjoy various scenic view Banyuwangi offers. From the mountain of Ijen with its blue fire to Muncar, the largest fishing village in Java. Right before the race starts. 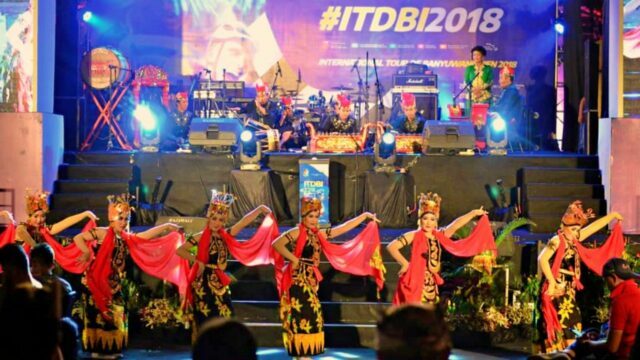 The committee of International Tour de Banyuwangi Ijen will present an opening show. It is a series of entertainment for the audience to enjoy. Activities vary on each day. There were a cultural carnival, a musical performance, and many more. In 2017, an opening event took place at the Cacalan Beach. All teams were participating in releasing baby turtles into the ocean. Stay close to the start line to watch these opening events. Usually, the starting points of tour de Banyuwangi Ijen are close to the city center. Such as in the City Hall and Banyuwangi Station. Carnival of the International Tour de Banyuwangi Ijen is one thing to anticipate. Expect a parade of decorated cars, traditional clothes, or Banyuwangi religious music group Hadrah. The parade will starts an hour before the race begins. As mentioned, there are four stages at the International tour de Banyuwangi Ijen Race. Each has its own characteristic and difficulty. And it goes up every next stage. Each promises different panorama as the backdrop from villages, plantations, mountains, to beaches. Study closely the race route and pick the right spot to watch the competition. At stage four, rolling roads at the foot of Mount Ijen challenge riders the most. Racers start from inclined roads at Sangrahan village. Then they continue climbing up to Pesanggaran Subdistrict. And finish at Paltuding, Mount Ijen at 1800 m above the sea level. Racers call this route the hell route. As it requires great stamina and cycling techniques to tackle. For onlookers, this route is the most interesting to watch. After the four-day race, ITdBI is concluded with a festive closing ceremony. Winners go up into the podium to receive their prize. Find out who's the next number one in the Asia Tour. In 2018, it was Benjamin Dyball from Australia. He managed to record a total time of 15 hours 8 minutes 7 seconds for all four stages. After the announcement, stay to enjoy music performances. The stage is set on a field with the background of Mount Ijen. The temperature may be cool, but it gets warm with Banyuwangi's distinctive music. After that, a firework show will end the event. There are several selfie booths near the stage. Don't forget to snap a pic or two here as a memento. After watching the race, now it's time for tourists turn to enjoy sightseeing the city. Go to the most famed of Banyuwangi's wonders for a start: Ijen's blue fire. Pack a hiking bag, climb Mount Ijen at 1 am in the morning, and steal a look of the very rare blue fire. There are only two blue fire occurrences in the world, one is in Banyuwangi and the other is in Iceland. From mountain to sea, Banyuwangi is also home for several beaches. The more remote a beach is, the more pristine and beautiful it is. Green Bay is tucked in Meru Betiri National Park while G-Land stays hidden in Alas Purwo National Park. Go off the beaten path just to find the rarest gems of this city. For tourists planning to experience the culture with enough bits of nature, then Muncar is the perfect destination. The beach and fishing village offers a combo culture-nature trip not far from the city center. Experience the hustle and bustle of the busiest fish market in Java. Walk along the shorelines with a sight of blue water and colorful fishermen boats. Chat up the locals and get to know about their daily life. So many things to do and the list goes on and on. 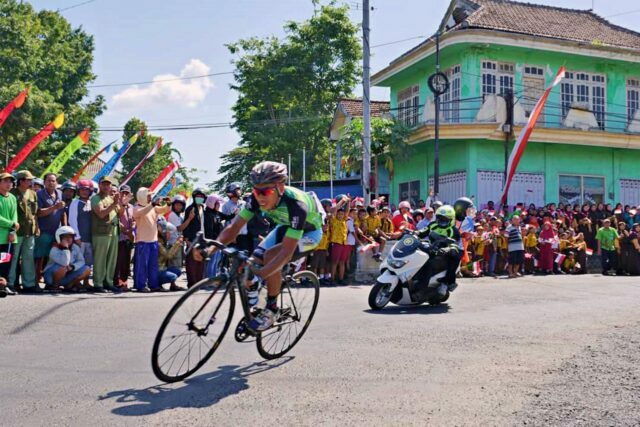 This year's Tour de Banyuwangi will be held on 23-26 September 2019. The venue, tracks, and routes are spread across Banyuwangi's popular sites. The opening ceremony is situated at Banyuwangi Government Office at A. Yani Street no. 100, Banyuwangi. While it's also the starting line of ITdBI's first stage. 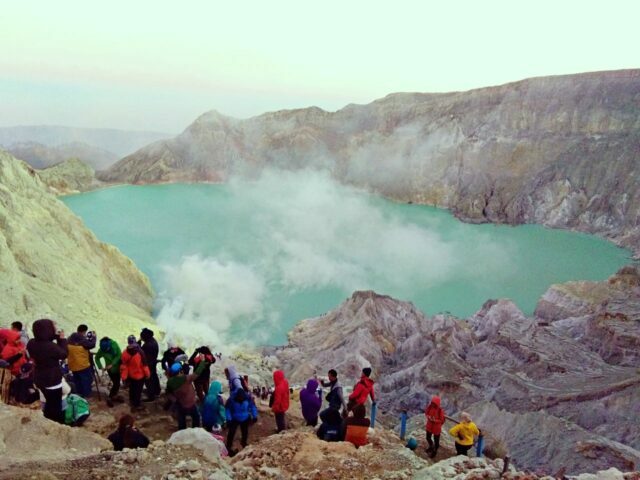 See: Ijen Crater, Activities, Sightseeing & Entrance Fee. In recent years, it gets easier to find accommodation at Banyuwangi. Hotel rates are quite cheap compared to other areas in Java. A decent room costs less than IDR 250k/night at a 3-star hotel. During the event, expect locals opening food stalls along the route. These makeshift food vendors offer affordable and tasty food choices. The popular way to get to Banyuwangi is by train from Surabaya. Options range from economy class at Probowangi to executive class at Mutiara Timur. A few direct flights are available from Indonesia major cities to Banyuwangi's Blimbingsari Airport. Meanwhile, tourists coming from Bali can take a road trip with bus from Denpasar bus station. A bus ticket is affordable at IDR 50k. The fee also includes the ferry expense when crossing Bali Strait. To get around Banyuwangi, there are public van angkot with cheap rates. Apart from using angkot. Tourists can use versatile online motorcycle-taxi apps such as Grab or Go-Jek. Take note that during the event, some roads will be closed for the race route.